I was able to attend the VMWorld Europe conference in Barcelona, Spain this month, and it was an amazing experience. Not only did I get to see some unparalleled sights and eat wonderful Barcelona food, I also connected with THE experts in hyperconverged infrastructure, as well as many customers for some great conversations and learning. I heard inspiring transformation stories at companies like Lufthansa, Morgan Stanley, and Sky. They use VMWare VSAN* to enable cloud-like IT delivery models in a software defined data center, ultimately transforming the way they work. 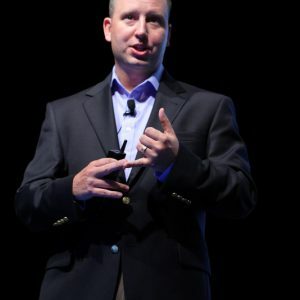 Connecting with customers and experts to help changing the computing world is awesome. Now it is time for HPE Discover, where things get even more exciting, as I get to help HPE customers take similar steps with new Intel® Optane™ SSD Enabled VSAN Ready Nodes that were just released from HPE! With all the focus around the software defined data center and multi-cloud architectures, it was difficult not to notice that hardware details were largely ignored in most of the VMWare sessions. I guess you could call the show "serverless". All kidding aside, as a solutions architect, I spend lots of time making customers aware that very small, specific changes in hardware can make an incredible difference in their business unit customers' experience, as well as the value they can ultimately return to their company. Not all "commodity" hardware VSAN Ready Nodes are created equal. A single component change can make a massive difference. As an example, most people have heard about Intel® Optane™ DC SSD technology, but few really understand what it can do. Sure, they know it is a super-fast, low latency SSD, but, who cares. Isn't that too expensive to put into a VSAN design? NO WAY! Let me explain. Intel and VMWare worked jointly with an industry analyst company called the Evaluator Group and set out to build the ultimate VSAN configuration, using the latest VMWare 6.7 software, the latest Intel® Xeon™ Scalable processors, and our latest Intel® SSDs. Our plan was to determine the best combination of ingredients that will scale the highest possible VM density, and provide the ultimate price and performance convergence for a hyperconverged VSAN design. Evaluator Group used a comprehensive hyperconverged benchmark called IO-Mark VM, stressing the CPU, memory, and storage capabilities of a cluster. During this testing, they discovered that if you swap out the VMWare VSAN caching tier SSDs from 1.6TB mid-endurance NAND Intel® SSD DC P4600, and replace it with a 375GB Intel® Optane™ P4800X SSD, the results were astounding! The new Intel® Optane™-enabled cluster can support 64% more VMs than it could before the swap, just by changing out one specific component! This testing report shows the 4-node Intel® Optane™ SSD caching VSAN supports up to 1,152 VMs, where when using NAND SSDs for caching, the system could only support 702 VMs. In fact, as you can see from this certified benchmark result, we set a new world record holder for Price/Performance in the IOMark VM test–achieving an amazing $216.23/IOMark VM! Better bang for your buck, and it's not a massive upsell game. At the time of this writing (November 2018), the price difference of these two drives was ~$10, and with eight caching SSDs in the 4-node cluster, which means an added cost of ~$80...450 more VMs for a mere $80! So much for serverless…components matter. Even more exciting is that the great team at HPE get it, so they've brought some new AF-4, AF-6, and AF-8 all NVMe SSD VSAN ready nodes with Intel® Optane™ SSD caching, very much like the designs tested by the Evaluator Group. 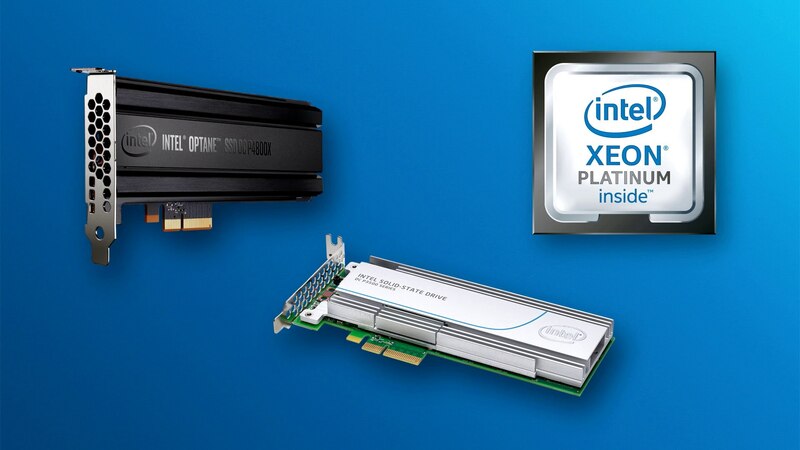 Although HPE did not specifically call out the Intel® Optane™ SSD brand, you can tell these use Intel® Optane™ SSD devices by looking at the unique 375GB capacity. Now HPE Enterprise customers can appreciate the ultimate price performance and VM density offered by using all the right ingredients, such as Intel® Xeon® Scalable processors, and an all NVMe SSD VSAN with Intel® Optane™ SSDs caching. Since this blog is already TL;DR, I'll save the details of how this all works for another blog. If you want to know more about the new HPE VSAN Ready nodes, Intel® Optane™ SSDs, or want to learn how to tie a bowtie, find me at Discover using Twitter or Linkedin! Next article:To Collect or Not Collect?